Industry Consultation Workshops form part of our CEOI Industrial Engagement Strategy. Their purpose is to engage with a broad spectrum of industry (through developers and users of instruments, EO data, services, aerial platforms, etc.) to understand future industrial requirements and how these may impact on and benefit from the technology developments funded under the CEOI programme. 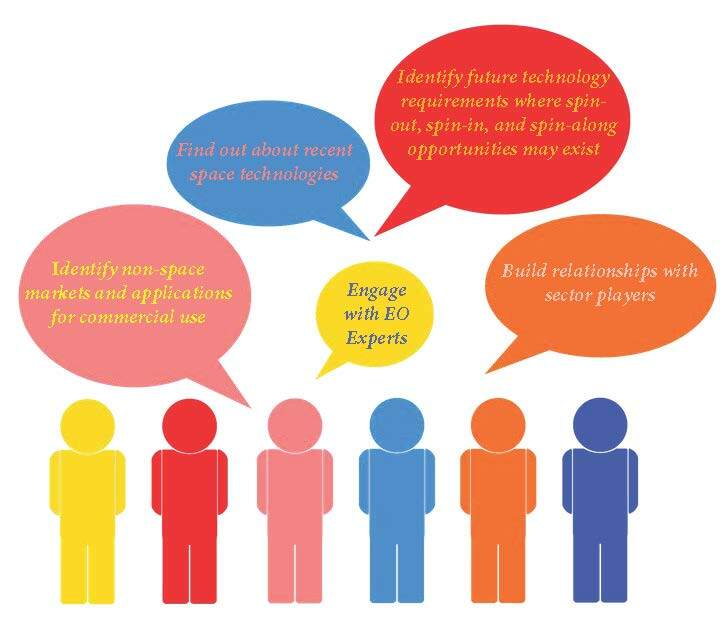 The workshops aim to bring together key opinion leaders and innovators from these different sectors, along with the project leaders and a leading academic domain expert, to undertake an open discussion (under Chatham House Rules) on the technologies and their potential applications in non-space markets. If you are interested in gaining more information about these workshops, or would like to be added to our mailing list, please contact Prof Mick Johnson (CEOI Director) at mick.johnson@airbus.com or Robin Higgons (Industry Coordinator) at robin.higgons@qi3.co.uk.